Save on veterinary care and enjoy greater convenience and peace of mind for the healthcare of your furry family member. The Total Wellness Plan is an annual healthcare plan designed to make it easier and more affordable to give your pet the care they deserve. With our focus on preventative care we're helping you give your pets a healthier and happier life. What's Included For Your Pet? Monthly Doses Delivered to Your Door! *** For Classic plan cat members only. * Consultations include standard consultations and revisits only. Does not include specialist consultations or ancillary services. ** Performed by a veterinary nurse and excludes sedation and hospitalisation if required. *** Performed by a veterinary nurse when not part of a primary consultation or comprehensive physical examination. Our monthly payment plan option offers an easy way to budget for your pet's wellness care. We will direct debit your account on a monthly basis commencing from the date of your agreement. We will also automatically renew your plan after 12 months unless you contact us prior to your 12 month anniversary. Total additional cost for monthly payment option is $5 per month. 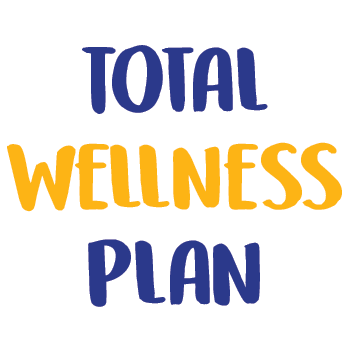 The annual cost of the Total Wellness Plan represents amazing value with year-round healthcare starting from just $5 per week! The annual savings for an average 20kg dog on the Classic plan is around $220#. The annual savings for an average 4kg cat on the Classic plan is around $210#. ¹ Instalment payment plans include a monthly processing fee per month over 12 months. We will automatically renew your plan after 12 months unless you contact us prior to your 12 month anniversary. #Amounts based on 2 visits to the vet per year and 1 revisit plus the $50 off voucher and does not include further discount savings which will increase the annual savings amount. Based on prices as of 03/11/2018.